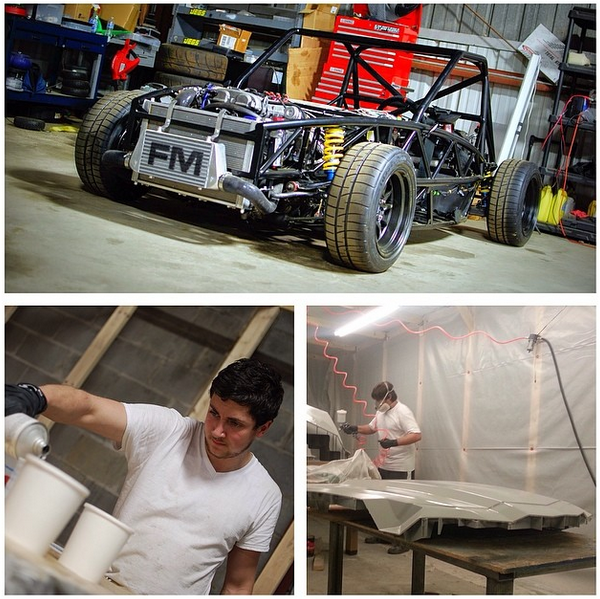 Warren and Tyler working hard tonight on the final stages of the all new Exocet bodywork. The bodywork bucks are Laser-cut light ply over a laser-cut steel skeleton. The new production molds will be taken over the next week to gear up for a massive production push. Our new XP-4 Exocet Race car lies in wait.